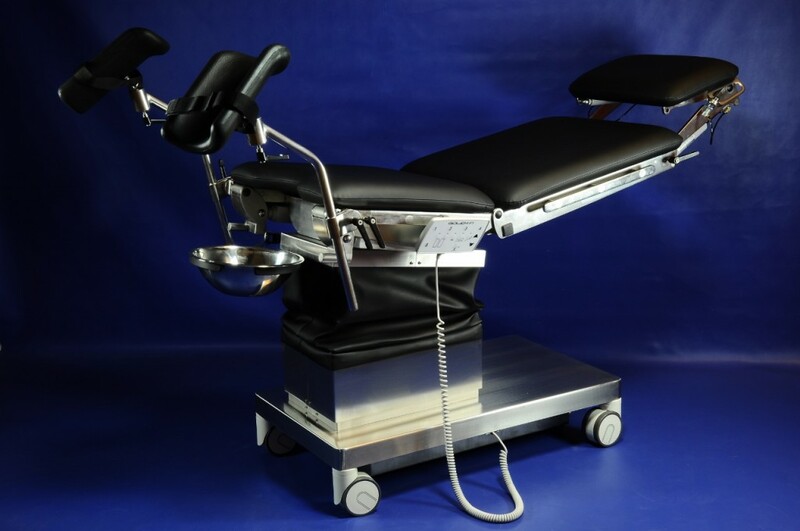 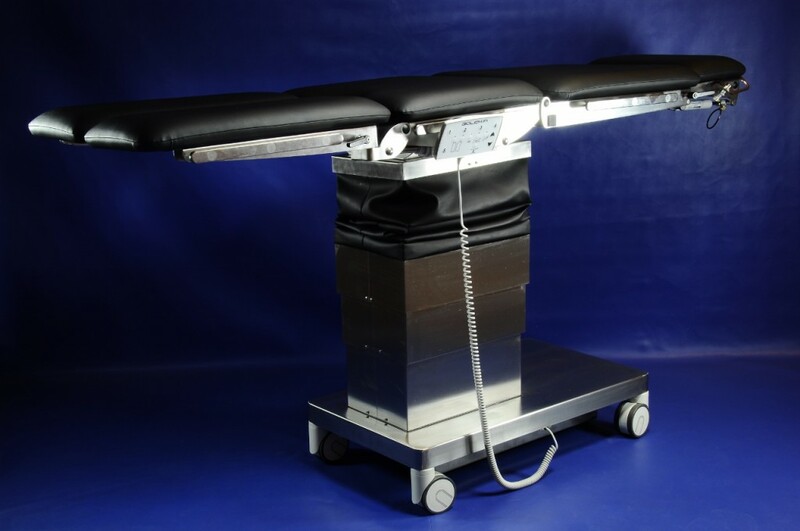 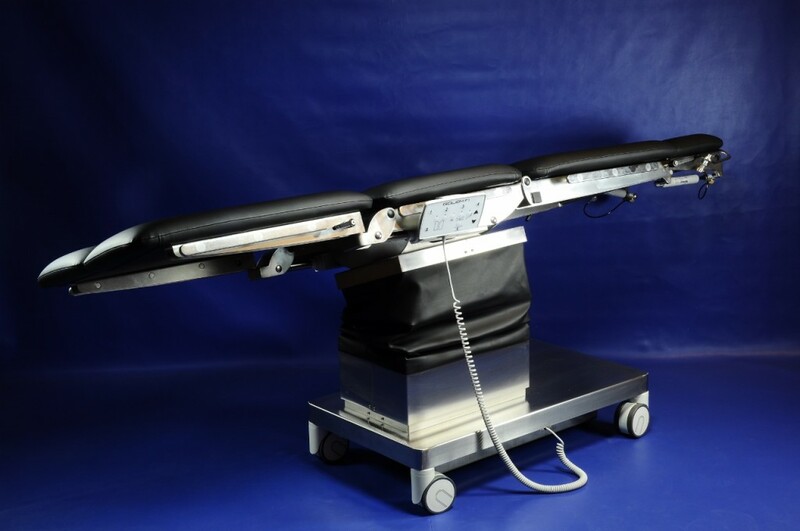 The GOLEM surgical tables(OP) are manufactured in a wide range of models that makes it possible for every user to choose a design and equipment fully satisfying their demanding requirements. 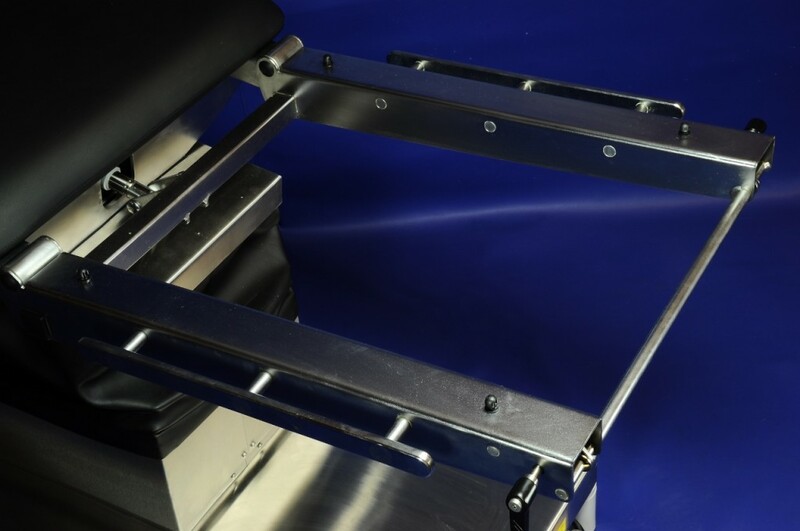 The operating surface of the table can be divided into 1 to 5 segments (type number) and it is always height adjustable. If necessary, the operating surface can be adjusted to the ± Trendelenburg position (marked T) and have adjustable side tilts (marked B). All adjustments are performed using silent and reliable LINAK electric drives with manual control. The tables are equipped with electronics with a memory of 3 operating positions that are simply set using a respective button. 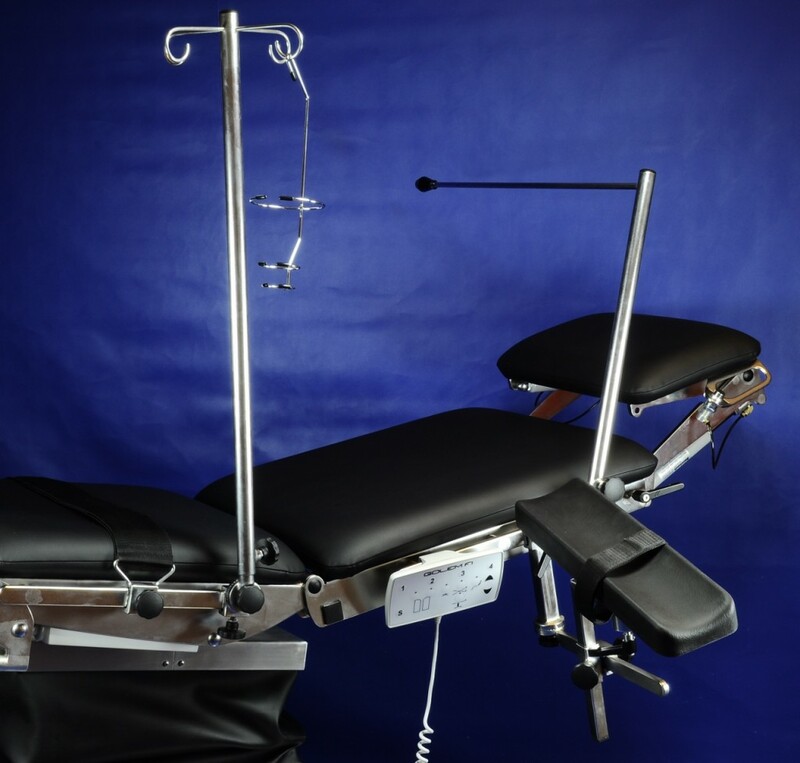 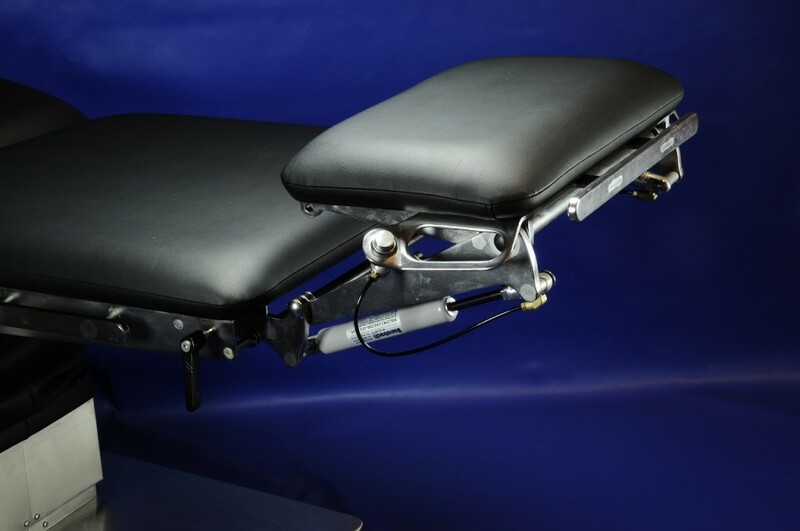 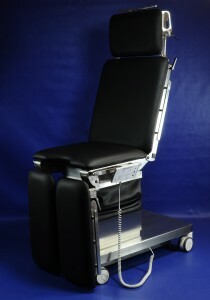 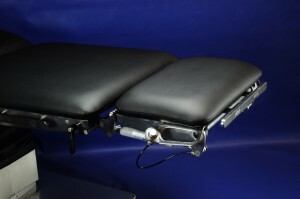 The backrest tilt is also electric drive adjusted; the removable leg segment is adjusted using a gas spring; the removable head segment is adjusted manually by means of a double-joint system. 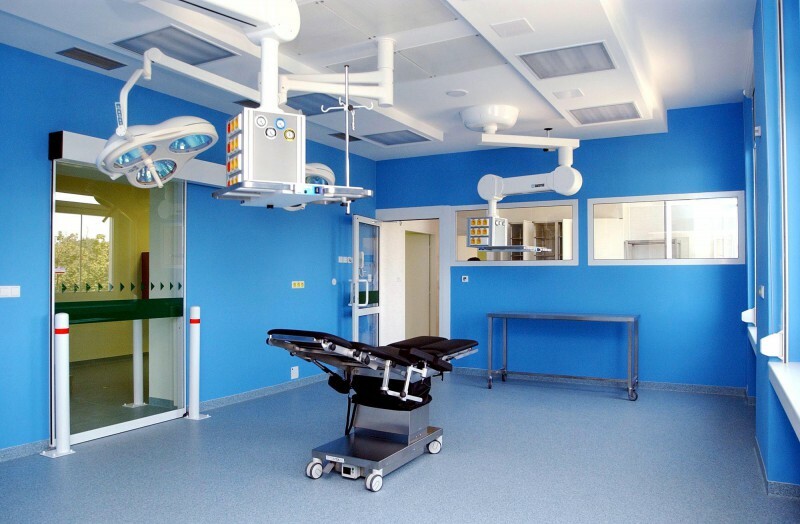 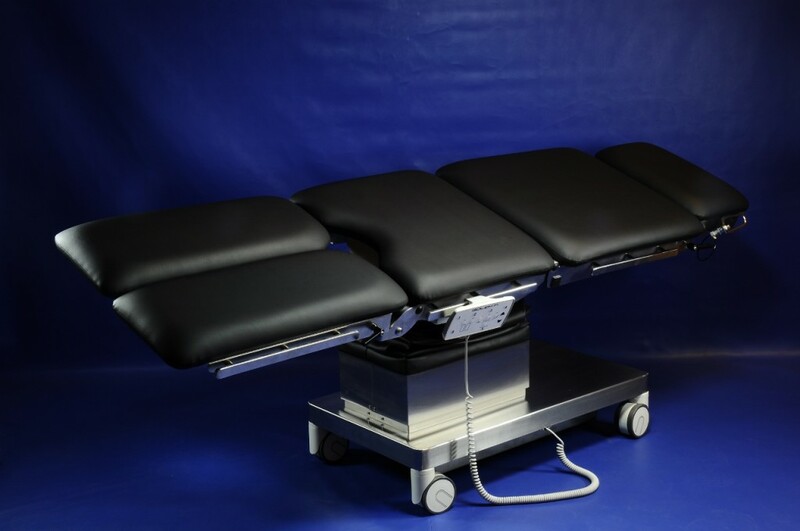 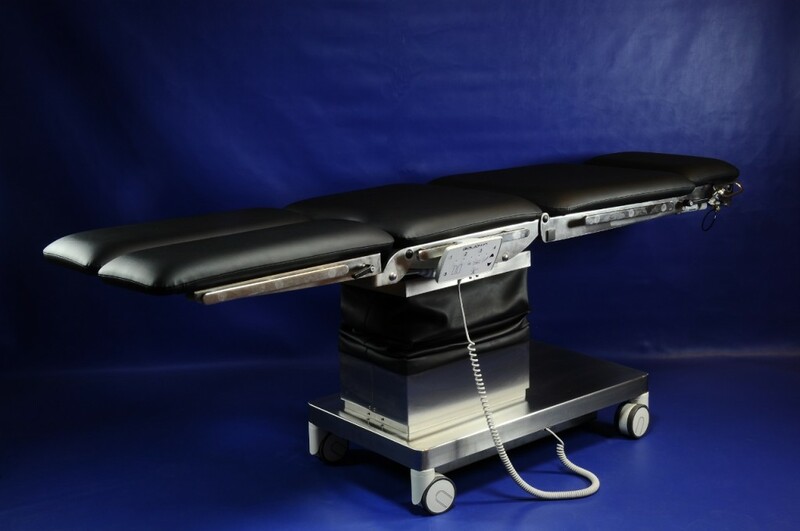 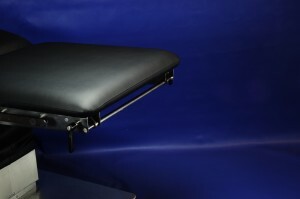 Tables with one- and two-segment operating surfaces are usually used for simple procedures or in ophthalmological and ENT surgery rooms; four- and five-segment tables are designed for all specializations and allow for the setting of all positions of the patient. 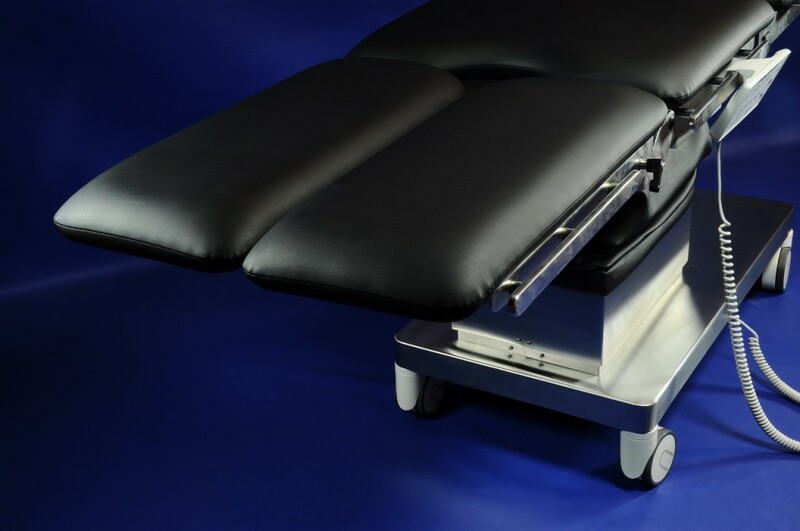 The tables have a sturdy and stable electro-chemically polished stainless steel structure and a washable and disinfectable operating surface with removable upholstery made of black antistatic artificial leather. 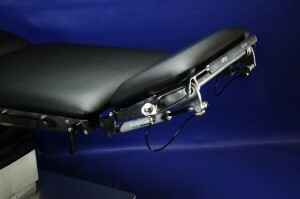 There are EUROrails around all segments for the fastening of any accessories. 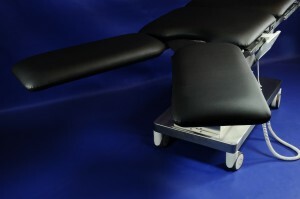 The standard version of the table is stationary with adjustable legs; there is also a possibility of a travelling version with Ø 100 mm centrally braked wheels. The table is supplied from a standard power socket, but it can also be equipped with a built-in fully automatic charger and maintenance-free batteries. 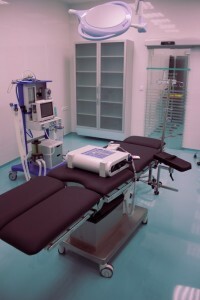 The frequency of charging is 1 – 2 times per week, depending on the operation. The whole operating surface including the head segment is fully translucent for X-ray; the C-arm can also be used with the exception of the middle segment (column). 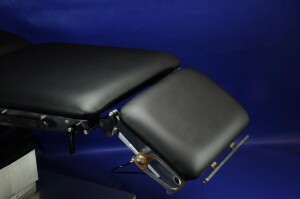 Delivery time is 6 weeks, please contact your distributor for official offer include all details.